A bit late (it was already the topic for Saturday but I only got to see the pictures yesterday) is the May Photo Challenge “Something old”. These two people are the parents of my maternal grandfather’s mother, my great great grandparents, on their wedding day. The picture was taken in Falkenau an der Eger, today Sokolov in Czech Republic. 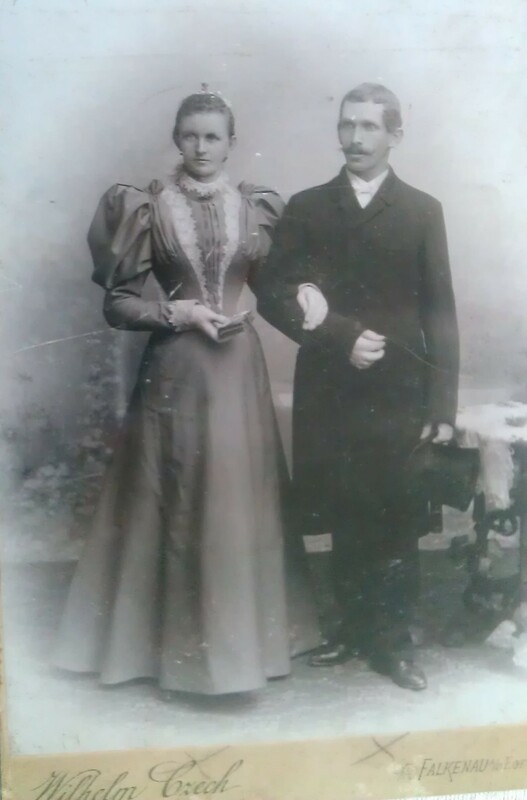 I have no idea when this was taken but as my great grandfather was born in 1906 and I simply guess his wife was about his age so this might have been taken around the turn of the century, judging by the sleeves even a little earlier. If there is anyone out there who know Mid European Fashion by year and can date this due to this fabulous dress Mrs. Knobl is wearing, please let me know. Now their daughter Bertha marries Edmund Bauer in the early 1930s. Here as well I don’t know a date. I have met my great grandfather Edmund, or “Opa Thea” as we called him (and when I was a child it was obvious to me that his name had to be “Thea” which it wasn’t obviously. The generation already before mine had named him after his second wife, Dorothea. ), as he lived into his 90s and only died about ten years ago but I never met her, Bertha, as she died giving birth to her second child, my grandfathers sister Edith. 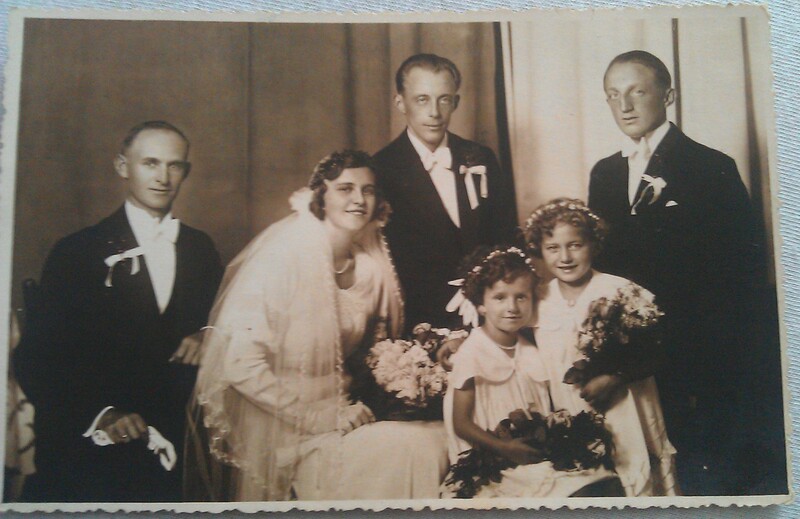 Now they had a child, Wilfried, my grandfather. 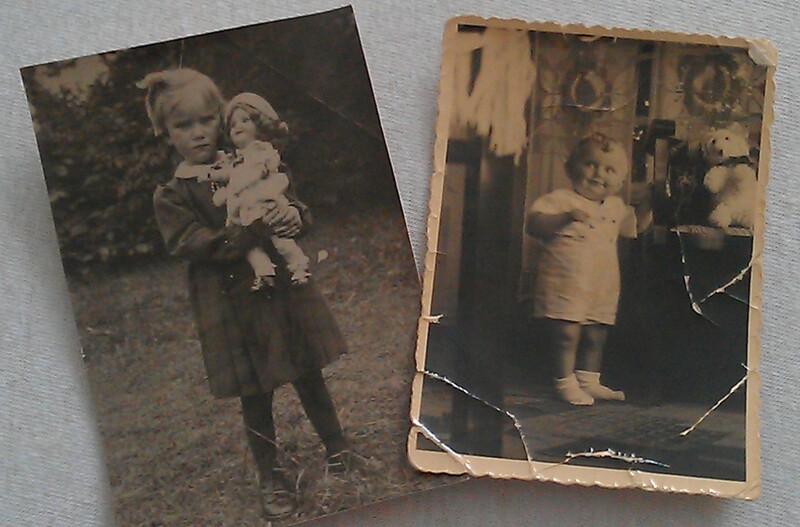 Meanwhile in Fellingshause, 400km away, a little girl grew up who seemed not to be fond of cameras: my grandmother Else. But the second world war was just around the corner. When it was over my grandparents were 9 and 10 years old. And the Bauer Family from Falknau needed to leave their hometown. They got displaced and Edmund Bauer, his new wife Dorothea and the two kids end up in Fellingshausen where Wilfried and Else met. 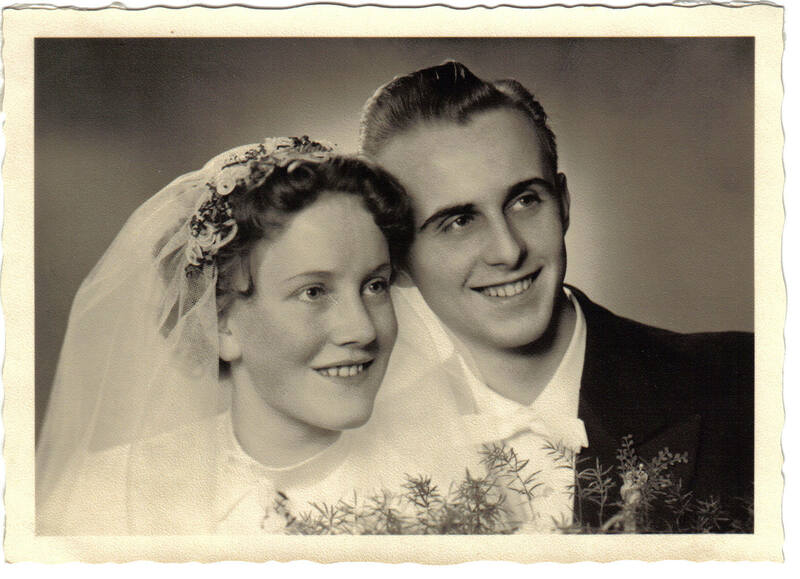 They got married in februar 1956, aged only 19 and 20, and in June 1956 my mum was born. You do the maths why there are no full body wedding pictures. But don’t they look adorable? And what might sound forced at the beginning turned out into the best relationship I know. My grandparents have been married for 57 years now and are the most loving couple. What a journey!